We know the tricks of the trade when it comes to termites! There are a few methods of treating a termite infestation, some of which will be discussed below. After a thorough inspection, your Radar Pest Control technician will go over each option with you and make sure that you understand how it all works. The tactics that we will discuss here, at our disposal, are baiting systems and monitoring. 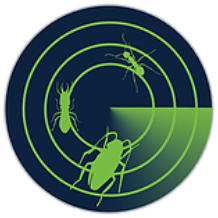 Radar Pest Control uses Exterra, which is a chemical free system that was created to protect your home or business on a regular basis. It’s safe around your home, your kids, and your pets. These bait stations are placed around your property where termites are likely to travel. This might be placing them in the ground or drilling through concrete, depending on the specifics of your property. The concept is to intercept the termites before they ever get close to the home. If termites are already inside your home, above-ground stations are the preferred way to quickly get rid of the termites. Termite bait is placed in the stations and will help to eliminate termites in a quick manner. Once termites are gone, the above-ground stations are removed. Termites are attracted to these stations and encounter the bait, which they take with them back to the colony. The termites have regular contact with each other, spreading around the bait and effectively eliminating the entire termite colony. This is a great option for times when the exact location of the nest is not known. Once the magic happens and the termites are gone, it’s important that that the monitoring continues into the future. There are surely other colonies in the area that would love to take a bite out of your house. This is why we push a regular system of monitoring around your home. We’ll replace the interception points with fresh bait and make sure that new termites are not present. Radar Pest Control has the experience and training to ensure that your termite woes go by the wayside. From the initial inspection to installing and performing termite treatments, we guarantee that you’ll be satisfied. 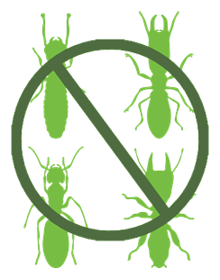 We know lots of happy homeowners who are termite-free; we want to make you our next happy customer. Protect your property by using safe termite baiting, monitoring, and barrier treatments through Radar Pest Control. Contact us today or call 0401 166 155.